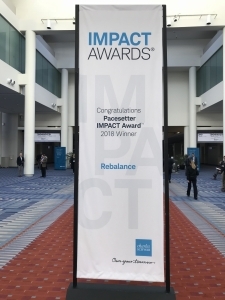 The team at FischTank Marketing and PR would like to congratulate Rebalance, a Bethesda and San Francisco-based investment firm committed to making premium wealth management services affordable and accessible to everyday Americans, on winning the prestigious 2018 Pacesetter IMPACT Award™ for Innovation and Growth, awarded by Schwab Advisor Services. The conference took place this week, with the honor being bestowed on the firm yesterday. Rebalance is an innovative, trendsetting company that has established itself within the retirement investment and personal finance industry. A consumer-first organization, Rebalance has advocated for transparency and working in their clients’ best interest, two standards that are unfortunately often neglected in the financial advisory space. Please watch their video and learn more about the firm here. Rebalance also brings “big league” investing capabilities to everyday Americans and is known for the savings it creates for its clients, as well as its emphasis on providing prudent investment advice based upon the expertise of its internationally-recognized Investment Committee. Members of this committee include Burt Malkiel, the world-renowned Senior Economist at Princeton University; Dr. Charley Ellis, who chaired Yale University’s famed investment committee; and Jay Vivian, the former Managing Director of IBM’s Retirement Funds, where he oversaw over $100 billion in IBM investment funds. 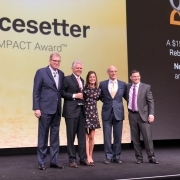 The Charles Schwab & Co., Inc.’s IMPACT Awards® program recognizes excellence in the business of independent financial advice. Nominees are evaluated and selected by a panel of prominent leaders from both the business world and the financial services industry. 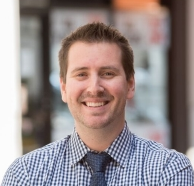 Eric Fischgrund is an entrepreneur, writer, sports fan, music-lover, and founder and CEO of FischTank Marketing and PR, a marketing and communications firm based in NYC. CHICAGO, Nov. 30, 2017 (GLOBE NEWSWIRE) — BIOLIFE4D, a biotech pioneer leveraging advances in tissue engineering to 3D print human organs viable for transplant, today announced it has retained FischTank Marketing and PR, a New York City-based firm, as its Agency of Record to conduct national and trade media outreach, generate awareness for its upcoming Regulation A+ equity crowdfunding campaign, and advise on all marketing and communications functions. The relationship was established to support the Company as it seeks to raise its profile ahead of its equity fund raise in early 2018, and as it develops messaging and marketing strategy to generate awareness within the medical community. FischTank will seek to increase BIOLIFE4D’s overall exposure, develop and maintain external communications, and hone marketing strategies. BIOLIFE4D is a biotech startup focused on making human organ replacement commonplace globally using an approach that combines recent breakthroughs in regenerative medicine, stem cell biology, 3D printing techniques, and computing technology. BBIOLIFE4D has filed a $50 million initial public offering with the Securities and Exchange Commission (SEC) under Regulation A+ equity crowdfunding rules, allowing everyday investors to help the company bring its groundbreaking cardiac tissue regeneration and organ replacement process to market. The “Reg A+” rules, outlined under the 2012 Jumpstart Our Business Startups (JOBS) Act, allow companies to raise up to $50 million in equity from non-accredited investors and others. 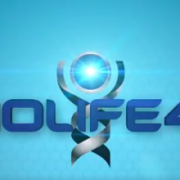 To learn more about BIOLIFE4D and to express interest in investing visit https://biolife4d.com/invest/. BIOLIFE4D is a pioneering biotech company laser focused on leveraging advances in life sciences and tissue engineering to 3D bioprint a viable human heart suitable for transplant – lifesaving technology that gives patients the gift of time. With BIOLIFE4D, a patient-specific, fully functioning heart will be created through 3D bioprinting using the patient’s own cells – eliminating the well-known challenges of organ rejection and long donor waiting lists that plague existing organ transplant methods. Financed through equity crowdfunding, BIOLIFE4D is driving a movement to transform the treatment of heart disease, the leading cause of death among both men and women globally. Learn more and invest at biolife4d.com. Connect with us on social media on Twitter (@BIOLIFE4D), Facebook, LinkedIn, and Instagram. Although you are currently able to express your interest in investing, BIOLIFE4D Corporation is not yet accepting investments. No money or other consideration is being solicited by the company at this time, and if sent in response, will not be accepted. No offer to buy the securities can be accepted and no part of the purchase price can be received until the offering statement is qualified, and any such offer may be withdrawn or revoked, without obligation or commitment of any kind, at any time before notice of its acceptance given after the qualification date. If you indicate interest, your indication of interest involves no obligation or commitment of any kind. FischTank leadership was fortunate enough to be asked by client SITO Mobile to join them during their bell ringing ceremony, as they uplisted to the Nasdaq Capital Market last week. SITO CEO Jerry Hug provided opening remarks from the heart, as expected, and plenty of fun photos were taken.